Game description: Alexander Paine, the notorious master criminal, has broken free from Landmark City's triple maximum security prison! Who can save the terrified inhabitants of Landmark City? 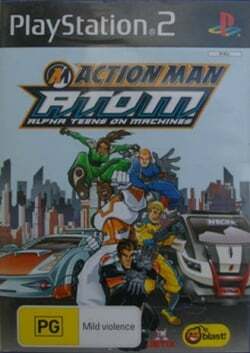 The Alpha Teens on Machines, that's who! Five super cool teenagers armed with the most technologically advanced vehicles ever created. Only they have the skills and machines to put the evil Paine back behind bars and save Landmark City.